What is the Imperial Award? 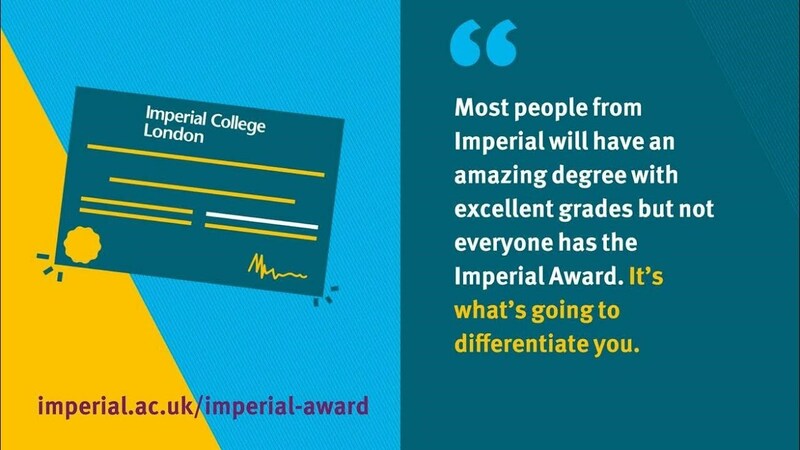 The Imperial Award is a scheme open for all students, encouraging self-reflection and personal development, recognising this on your College transcript. Hear what students have to say about their experience of the Imperial Award. How do I achieve the Imperial Award? To achieve the Imperial Award first you need to register by logging in with your College username and password. If you have a Personal Tutor tell us who they are and then you are ready to get started. You will then need to read the Student Guidance pack (PDF), which contains all the information you need to start working towards the Imperial Award. Once you've registered you’ll hear from us about upcoming workshops and further guidance to support your progress. If you have any problems you can contact the Imperial Award team by emailing us at imperialaward@imperial.ac.uk.